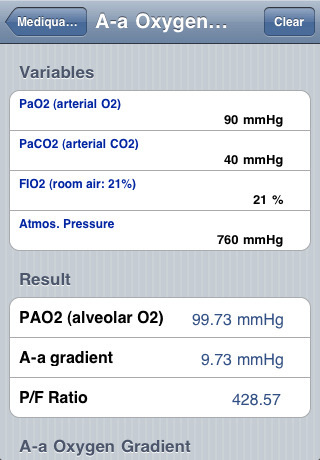 Mediquations is the original, most comprehensive medical calculator on the App Store. Mediquations makes getting the answers you need quick and painless. With 228 formulas and scoring tools and a intuitive interface, Mediquations is the smart choice for anyone looking for a medical calculator for the iPhone, iPod Touch, or iPad. ∙ 228 formulas and scores. The most comprehensive medical calculator on the App Store. ∙ Categories, Favorites, Recents, Full Search, Email Results. All designed to make your life easier. ∙ Multiple results (such as mortality percentages) are displayed for relevant scoring tools. ∙ Leave the app and return to where you left off. ∙ Full support for the iPhone, iPod Touch, and iPad. Buy once, use on all of your devices. ∙ Full multitasking support in iOS 4.0.